Earthworm populations are one of the main visible signs of soil health. Factors such as soil pH, organic matter content and compaction can all influence worm populations. But how many farmers understand the life cycle of earthworms and can identify if they are actively reproducing? Damian McAllister from DLF Seeds & Science provided some insight at a farm walk on David Hunter’s farm near Newtownstewart, Co Tyrone, on Thursday. Four commercial dairy farms, located in counties Kerry, Waterford, Offaly and Tyrone, are trialling grass varieties for seed company DLF. 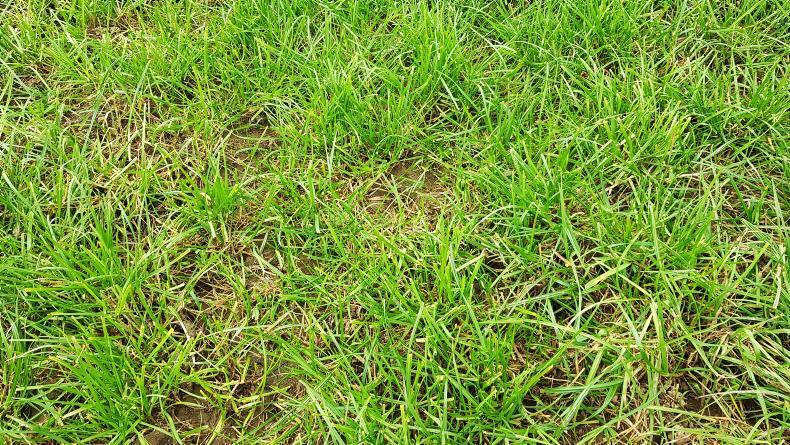 The programme is in its third year and participating farms have so far been using grass varieties that are already listed on Teagasc’s Pasture Profit Index (PPI) and are available to all commercial farmers. 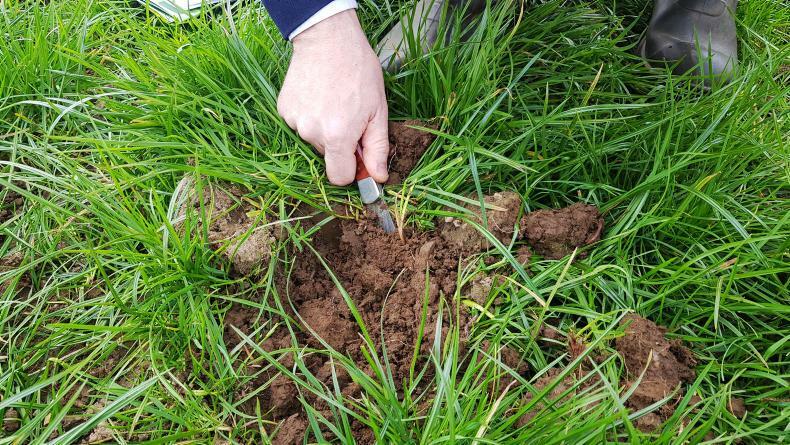 Speaking on programme participant David Hunter’s farm in Newtownstewart, Co Tyrone, on Thursday, DLF Ireland's Paul Flanagan said that on-farm trials are looking at grass yields, the quality of swards and graze outs. The plan from this year onwards is for programme farms to trial varieties that are yet to be listed on the PPI. This paddock on David Hunter's farm was reseeded with a monoculture of the tetraploid Solas last year. Flanagan said that this would allow DLF to get an understanding of which varieties perform best on commercial farms, before the top varieties are put forward for independent testing. “These guys will be sowing stuff that nobody will have heard of and might not hear of for a few years,” he said. Single varieties, as opposed to mixtures, are sown on programme farms as part of the research trials and mostly tetraploid varieties have been used. According to Flanagan, mixtures of diploids and tetraploids are still needed on most commercial farms, although he expects tetraploids to make up a greater proportion of mixtures in the future. 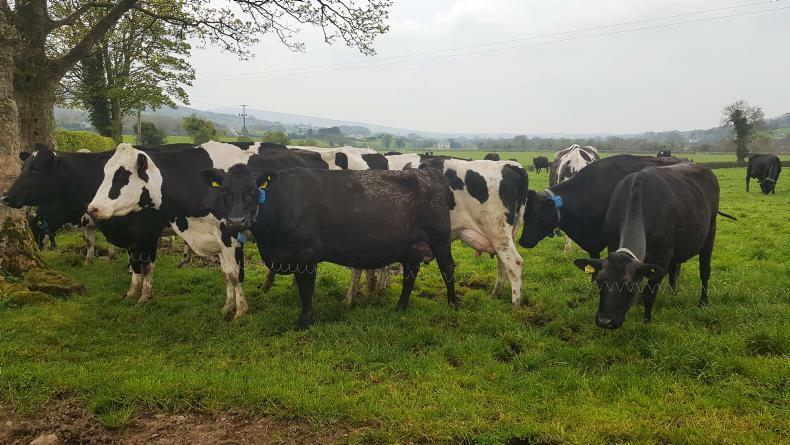 “On average, we are probably at 30% to 40% [of tetraploid varieties] in mixtures across Ireland, but in most of our grazing mixes we are pushing for 60%,” he said. “We have a certain cohort of farms that would be 100% tetraploid because they are delivering the yield and the quality. "We are seeing from Teagasc trials and on these four farms that they are grazing better as well,” Flanagan added. Read more in next week’s Irish Farmers Journal and at www.farmersjournal.ie. Calf rearing and the challenge of reducing antimicrobial resistance (AMR) were the main topics discussed at the Holstein NI AGM earlier this week. With dairy industry targets to reduce intra-mammary antibiotics by 20% in dry cows by 2020, Gary Watson of Dale Farm outlined how selective dry cow therapy can be a successful alternative to blanket treatments. He said that cows with an SCC below 150 during the final three months of lactation, and no record of mastitis, are ideally suited to using teat sealants only when drying off. Dale Farm is offering its suppliers a £100 incentive to complete the Milk Score Training course offered through Dairy UK to increase responsible use of antibiotics on farm. The AGM also heard from Alan Hopps, senior dairy adviser with CAFRE, who outlined the key learnings from a recent study trip to the Netherlands under the Farm Innovation Visits scheme. According to Hopps, Dutch dairy farmers are feeding higher levels of milk replacer to calves from three weeks of age, resulting in improved lifetime performance. Milk replacer is fed at 1.3kg/day, compared to the 600 g/day commonly fed on NI farms. The higher level of feeding means calf weaning weights are increased, with animals on the units visited weaned at 90 days of age and 120kg liveweight. 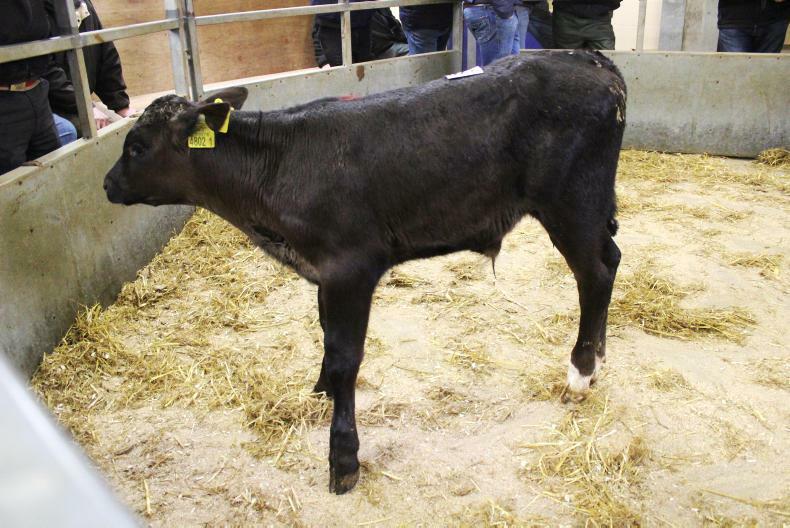 While rearing costs were £100/head higher under the Dutch system, more calves ended up joining the herd as milking cows, with first lactation yields also increased. At the AGM, Warringstown farmer, Charlie Weir was elected as chair and Ian McLean as vice-chair. Two participants in the second phase of the Dairylink Ireland programme are holding farm walks next week. John Oliver is hosting the first event on his farm on the Terrydoo Road near Limavady, Co Derry, on Tuesday 16 April. The second event takes place on Frank Goodman’s farm in Ballingarry near Carrickmacross, Co Monaghan, on Thursday 18 April. Both events are free to attend and run from 11am to 1pm. A full preview of the two farm walks is on page 32. A number of herds in NI have effectively ignored the rules around BVD testing. All calves born in NI after 1 March 2016 must be tested for BVD. DAERA has threatened to prosecute farmers who continue to ignore rules around testing for Bovine Viral Diarrhoea (BVD). Current BVD legislation requires that all calves born after 1 March 2016 must be tagged with a tissue-sample tag. However, some herds have continued to use conventional tags, leaving some cattle untested for the disease. “Herds with significant numbers of untested animals born since 1 March 2016 will be contacted and given 30 days to have these animals tested. Failure to do so may result in prosecution,” noted a DAERA statement released this week. 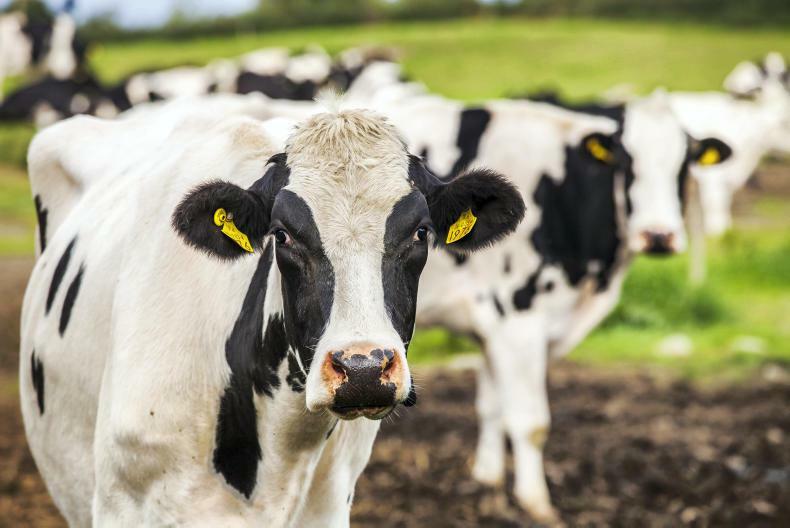 The move has been welcomed by the Ulster Farmers’ Union, which points out that anyone retaining animals persistently infected with BVD puts their neighbours at risk, and undermines the efforts of the rest of the industry to rid NI of the disease.